Lure and Fly Fishing is a great way to enjoy a day on the water. 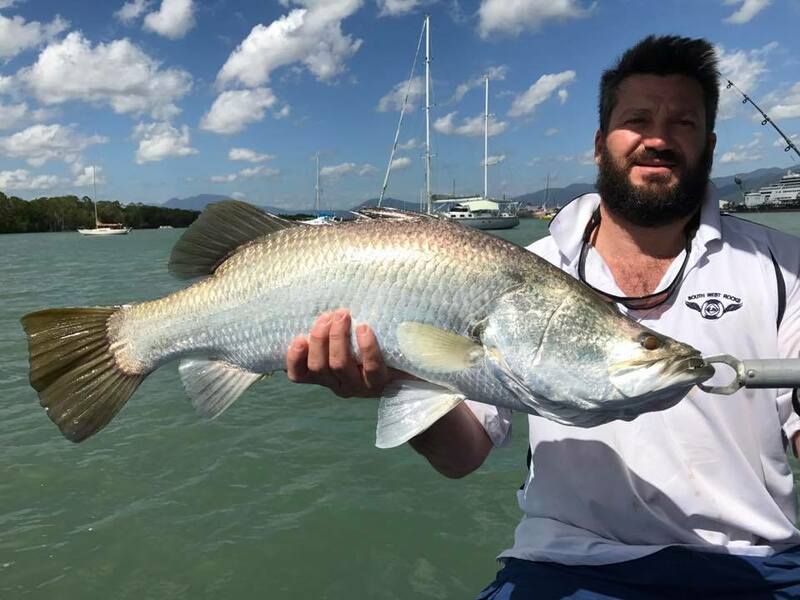 From ripping a popper across open shallow river flats chasing a Queenie, to flicking a hard body minnow into the mangrove roots to entice a Barra, this type of fishing really is an exciting way to fish. The waterways of Tropical North Queensland have plenty of options when it comes to Lure & Fly Fishing. Up in the sweet water reaches of our tropical rivers you can chase the elusive Jungle Perch, a beautiful little native fish that should be on every keen Fishermans bucket list. The Jungle Perch is a skittish little character, generally you have one cast into a spot to nail him before he is onto you and any subsequent cast is a waste of time. They at times require precision casting, as they prefer to sit in the shade of overhanging trees and shrubs. But when they strike, they offer a fantastic fight on the light weight gear used to target them. The Sooty Grunter can also be found in these upper reaches in bigger numbers. 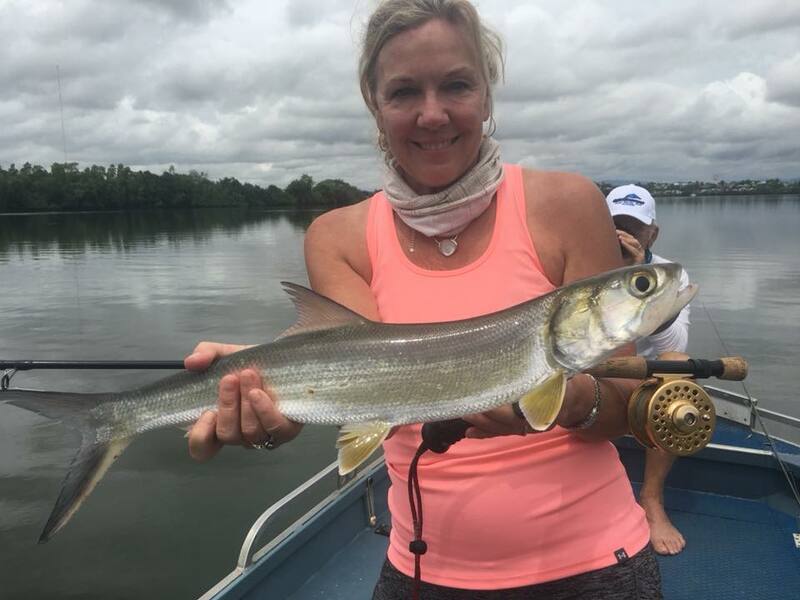 They can be found in the back eddies, along the edges of drop offs, and out in the middle of the river in the shallows sitting behind small snags, they also offer a spirited fight when hooked. One of the additional benefits of chasing these species is the world class scenery you’ll encounter. 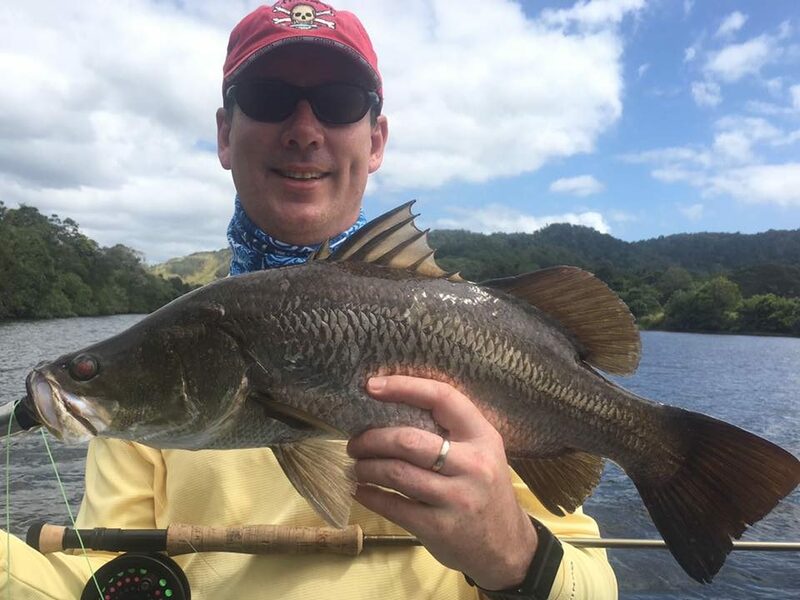 Fishing as you drift past ancient rainforest, grassy flood plains, with the backdrop of the Great Dividing Range. Don’t forget the abundant wildlife you’ll encounter, a wide range of bird species, from birds of prey to delicate finches, and if your lucky the magnificent Cassowary. You’ll see lizards lounging on over hanging branches or floating timber, some even tempted by a lure thrown there way. And of course the Estaurine or Saltwater Crocodile, while the big fellas tend to hang around the lower reaches of the river systems, juvenile crocs can be seen miles up stream, tens of kilometres from saltwater tidal waters. The Tarpon is also to be found in the mid to upper sections of our river systems, these plucky little fighter put on a real show when hooked. 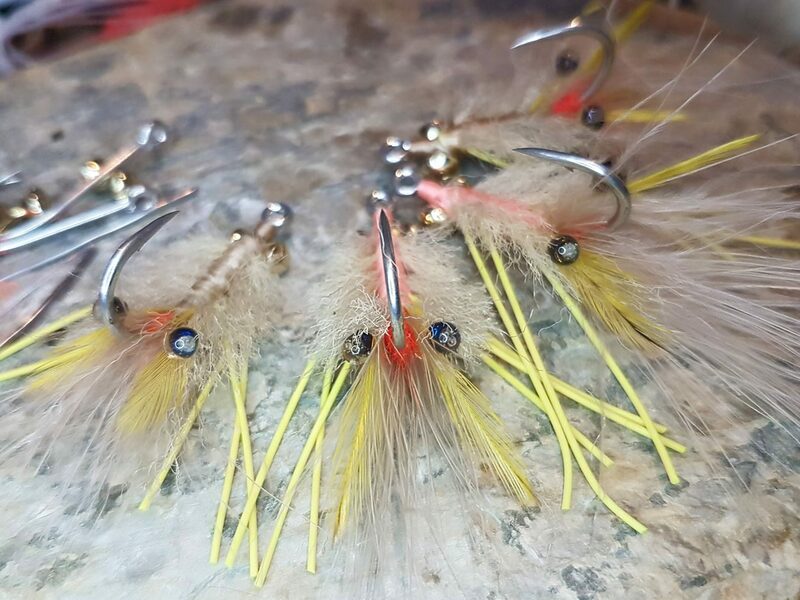 They leap from the water violently shaking their head trying to spit the lure of fly, they require soft hands when fighting, as they have some soft sections around the mouth making them vulnerable to loosing, more than other species in the river. 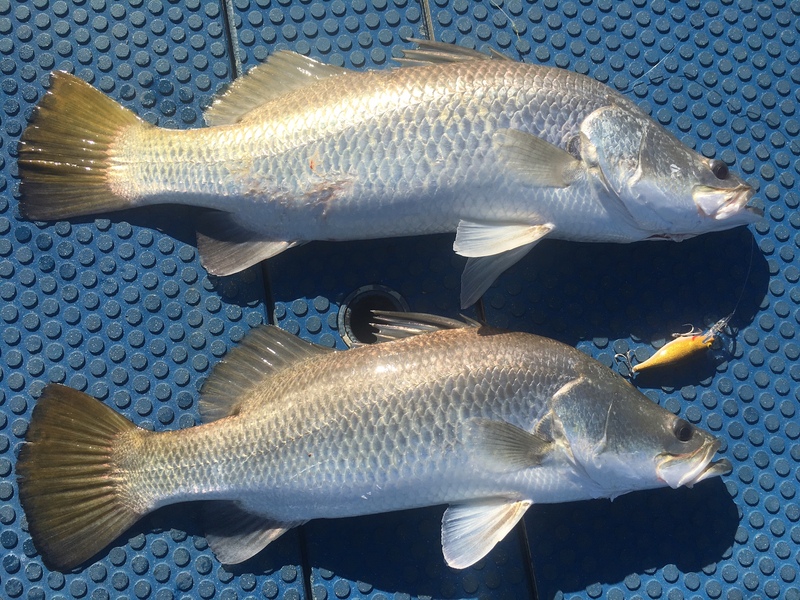 Mangrove Jack and Barramundi also inhabit these waterways, both fantastic sport fish, both making the angler earn the privilege of landing one of these iconic species. It is essential to put your lure where the fish are, this is where a good guide is worth the investment. These species will hit lures presented to them for one of two reasons, they are hungry, or they’re annoyed that your lure has invaded their territory. They both have big strong tails, designed for short bursts of speed to ambush prey, so if your lure is not in the vicinity, you’ll be out of luck. They like sitting in areas where they do not have to work hard waiting for a feed, like nestled in the grass beds along the edges of the river, sitting behind snags, hidden in mangrove roots and anywhere there is a disturbance in the water flow. 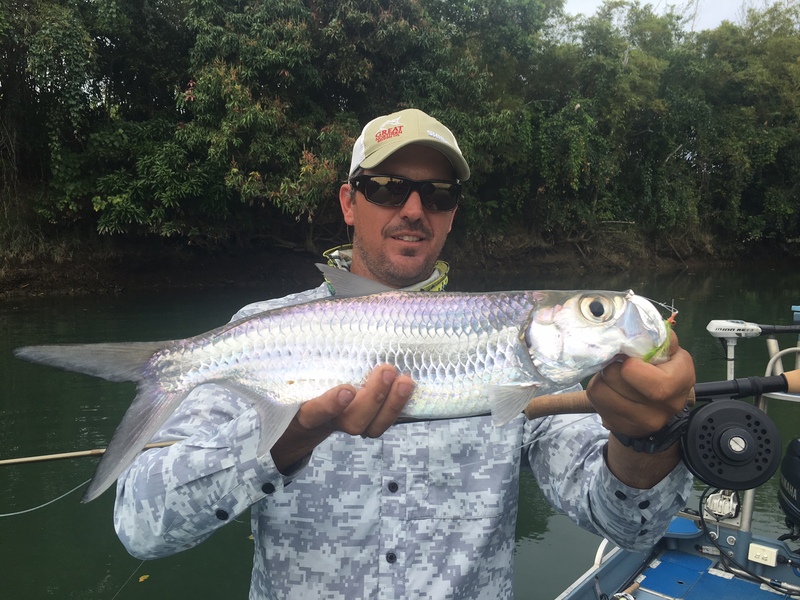 Further down stream you can catch the likes of Queenfish and Trevally, these are species renowned for a fight and you can expect to loose a bit of gear down this end of the river. Spectacular stuff on light 6kg tackle, casting surface poppers or trolling minnows or slices, they are spectacular quarry. They patrol the gutters and mangrove channels during the cooler months, and can be caught in the tidal estuaries all year round as well as on the close inshore rocks and reef areas. Fish to 10kg are quite common. Again the lower reaches of our tropical rivers offer some spectacular scenery, and you may even encounter one our river monsters, crocodiles up to 4.2m inhabit these waterways. Fly Fishing is specialist fishing style of growing popularity throughout the world. Tropical North Queensland has some unique opportunities to fish in this style, from the Jungle Perch in the sweet water upper reaches, to the Giant Trevally on the Great Barrier Reef. To this end we have an entire section dedicated to Fly Fishing.